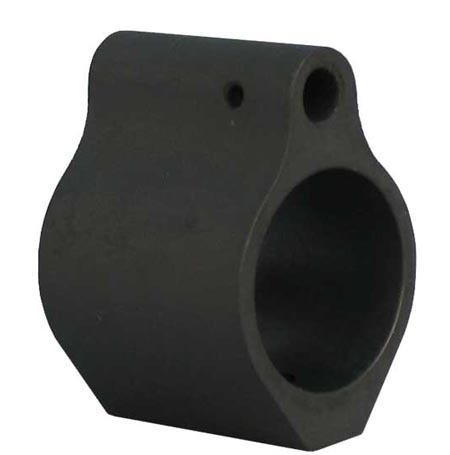 This gas block replaces your existing front sight to provide a simple, low profile design that can be used to mount a rifle length forearm to a carbine length barrel. It is mounted by the use of two set screws (YHM-9383) and is .950 Inches long. Manufactured from high quality steel and finished with a mil. spec. phosphate coating. Made in the U.S.A. This gas block has a bore diameter of .750 inches.